Book one or all three of these great optional workshops - the perfect addition to your 'BROKEN SLEEP? CONFERENCE' experience. Do you want to develop your narrative voice and improve your writing skills as a tool to shift cultural norms, influence public opinion or advocate for change? Your words can do good! Learn from a five-time author, award-winning journalist and women’s health advocate, whose commentaries received over 8 million page views last year. A former reporter at The Times, Kimberly is bringing her NYC writing masterclass to London for the first time! Whether you want to write commentaries, magazine articles or books--this one-day intensive course is for you. Discover something that can make a lifetime of difference for families. If you work with expecting or new parents in ANY professional capacity, you can learn how to plant powerful seeds that support mothers, fathers and partners to cope as individuals, pull together as a couple, and thrive as a family. • That while we call it the “transition into parenthood”, there are actually more than eight (8!!!) major life transitions for mothers, fathers and families. You’ll learn what these transitions are and how you can use them in your role. • How the research and evidence-based Becoming Us approach can support you to work with individuals, couples or groups in a whole-family way to navigate the different transitions of parenthood, reduce risks for PMH issues and relationship problems and support families to thrive. • New brain research into learning and relationships that can make all the difference in your work. • How to design and plant a 3 part ‘Becoming Us’ seed for parents to grow their love and you can see just how powerful this tool can be! And the best bit? Seed planting only takes a moment for you – but can make a lifetime of difference for families. Elly would love to show you how. Having some practical but gentle sleep support strategies to hand can offer families hope, empowerment and encouragement. 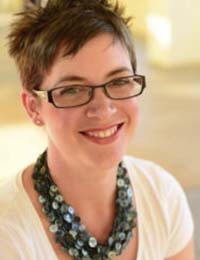 Lyndsey Hookway; author of Holistic Sleep Coaching and the co-founder and clinical director of the Holistic Sleep Coaching Program shares practical and instantly implementable sleep strategies that are protective of the breastfeeding relationship and supportive of attachment and optimal mental health. • Cancellations advised 30 days prior to the conference/workshop will receive a refund less $60 admin fee. • If you need to cancel your attendance you may change your registration to an online registration. • You may transfer your registration to another person, but you must advise us of this prior to the conference/workshop. • Please make sure you secure your registration for this conference/workshop before you book airfares and hotels. We cannot be responsible if the conference/workshop is sold out. 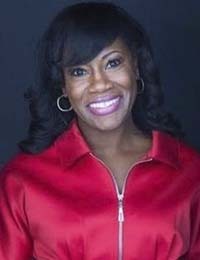 Kimberly Seals Allers is an award-winning journalist, author and a nationally recognized media commentator, consultant and advocate for breastfeeding and infant health. Kimberly’s fifth book, The Big Let Down—How Big Business, Medicine and Feminism Undermine Breastfeeding, was released to high acclaim. Kimberly most recently served project director of the First Food Friendly Community Initiative (3FCI), an innovative pilot project funded by the W.K. Kellogg Foundation, designed to understand the impact of “place” as a social determinant of breastfeeding success and to engage multiple stakeholders to create a national accreditation for breastfeeding friendly communities. She currently leads nationwide workshops for health care professionals on cultural competency in breastfeeding support and is a prominent speaker on communitybased strategies to reduce the racial disparities in breastfeeding and infant mortality rates. Lyndsey is an experienced Londontrained Paediatric Nurse, Health Visitor, International Board Certified Lactation Consultant, Holistic Sleep Coach and Birth Trauma Recovery Practitioner, with almost 20 years experience working with infants, children and families in hospitals, clinics, and the community. Lyndsey runs a busy International private practice offering one-toone specialist support to families. She especially enjoys supporting families by bringing together infant feeding support, mental health and sleep optimization. Lyndsey is the author of Holistic Sleep Coaching and the co-founder of the Holistic Sleep Coaching Program – an international online program aiming to educate health, lactation, childcare and sleep professionals about the importance of evidence-based, gentle care of babies and children. 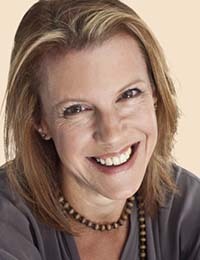 Elly Taylor is an internationally recognised perinatal relationship expert, author and founder of Becoming Us. Elly has served on advisory panels for Monash University, Newcastle University and the Australian Catholic University research projects and is currently on the board of the International Forum for Wellbeing in Pregnancy. Elly lives in Sydney with her firefighter husband, their three children and a bunch of pets. IBCLE CERPs and MidPLUS CPDs have been applied for.